When we invited Mia for the BBQ last Sunday, she asked us if she could take her sister-in-law and her two kids with her. Since we only invited two people we told her that it's okay for her to bring them over. 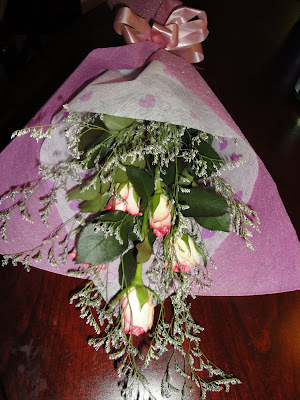 As a way of appreciation, her sister in law gave me a bouquet or roses when they arrived. Kamsa Hamnida Ms. Sun He, I loved it!